50 Cent told Lil' Kim his left stroke is the best stroke. 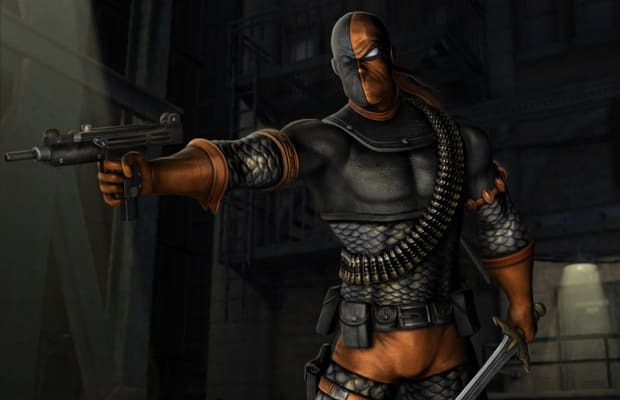 We don't think Soul Calibur's leading ladies want to find out how Deathstroke puts it down. DC Comics let us pop gats and stab Mortal Kombat's cast of fighters in Mortal Kombat vs. DC Universe once. It's time our other favorite comic book assassin (you should know who the other one is, Marvel heads) comes back for another dose of 3D fighting. His blades dish out major damage and all those guns he's packing make him perfect for long range play. We'd whip out those handguns for close-up shots should anyone get up in the masked grill.